We featured Steel Magnolias and Brian's Song in ads. My next thought was to actually sponsor the films. 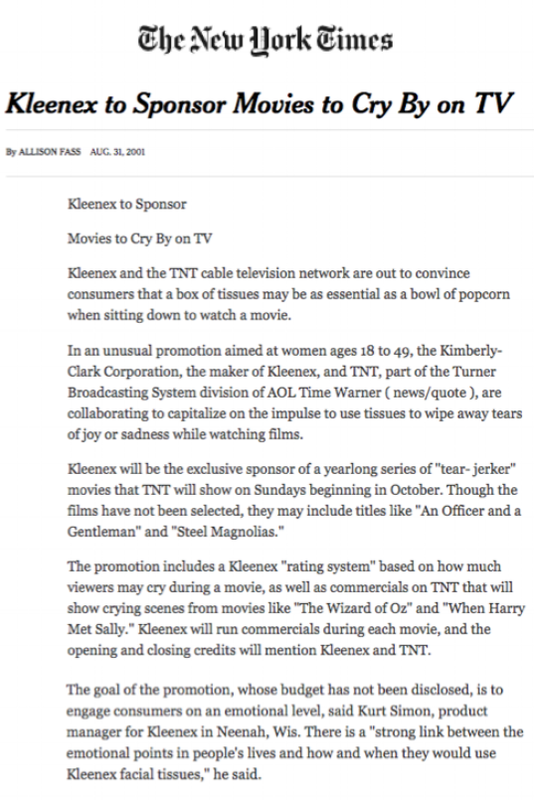 So we created "Movies to Cry By" on TNT.